The Mode drop-down list provides a selection of paint application modes. As with the opacity, the easiest way to understand what the Mode setting does is to imagine that the paint is actually applied to a layer above the layer you are working on, with the layer combination mode in the Layers dialog set to the selected mode. You can obtain a great variety of special effects in this way. The Mode option is only usable for tools that can be thought of as adding color to the image: the Pencil, Paintbrush, Airbrush, Ink, and Clone tools. 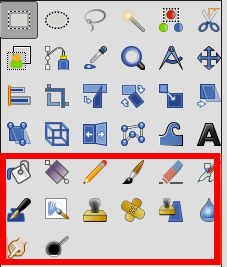 For the other paint tools, the option appears for the sake of consistency but is always grayed out. 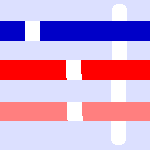 A list of modes can be found in Paragraaf 2, “Layer Modes”. The incremental checkbox does not seems to work as everyone expect. 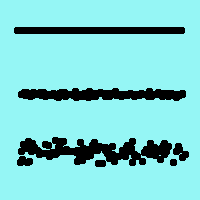 If it is deactivated (the default value) the maximum effect of a single stroke is determined by the opacity set in the opacity slider. 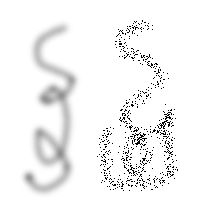 If the opacity is set to less than 100, moving the brush over the same spot will increase the opacity if the brush is lifted in the meantime. Painting over with the same stroke has no such effect. 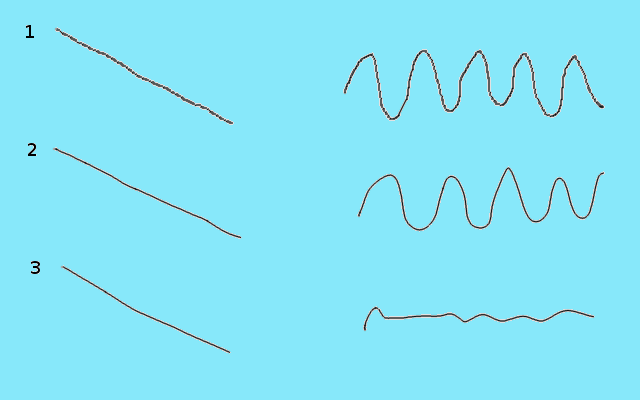 If Incremental is active the brush will paint with full opacity independent of the slider's setting. This option is available for all paint tools except those which have a “rate” control, which automatically implies an incremental effect. See also Paragraaf 2, “Layer Modes”.